one is a challenge. The best option for your company ultimately depends on your current and future goals, as well as the functionality you need. Provider-native: tools that a public cloud provider, such as Amazon Web Services (AWS), IBM or Microsoft, provides and supports. Third-party: tools that a third-party vendor, such as BMC, Cloudify or RightScale, provides and supports. When an organization evaluates a CMP, it often focuses on the pros and cons of these two broad categories, Burns said. However, the focus should first be on core CMP functionality. Specifically, enterprises should assess whether the functionality of a CMP meets both their current and future requirements. For example, if an organization plans to move toward hybrid cloud, it should determine if the tool provides a consistent UI to support public cloud services, as well as in-house infrastructure. Other features to look for in a CMP include automated data backups and the ability to automatically spin down cloud resources when they're no longer needed. While the core functionality of a cloud automation and orchestration tool is important to evaluate, there are some general tradeoffs to consider to choose between third-party and provider-native options. For example, AWS CloudFormation and Azure Resource Manager (ARM) are native provisioning tools. The cloud providers didn't intend for these tools to compete with other management tools, but rather to make it as easy as possible to consume AWS or Azure resources, said Torsten Volk, senior analyst at Enterprise Management Associates. But one drawback is that these native tools require provider-specific knowledge. Despite their benefits, cloud automation tools are not without risks, and businesses need to implement them carefully, said Adam Shnider, vice president of operations at cybersecurity consultancy Coalfire. "[Companies] must have appropriate processes to allow for proper review, testing and development lifecycles to ensure the automation will provide the benefits that you intended to gain," he said. "Uncontrolled automation tools can result in malicious changes to a larger population of systems and applications and compromise important business information." On the other hand, third-party cloud automation and orchestration tools, such as Quali or Cloudify, require more generic architectural knowledge to design complex environments, and you don't need to learn proprietary languages, he continued. In the end, it depends on whether you are comfortable with your cloud provider or not. If the native tools meet your current and future needs, stay with them. "If you want to entirely live in the Amazon universe, you can get all of these tools from AWS," Volk said. "Amazon even baked in Chef, as this would have been the one component difficult to imitate." But if you use external DevOps pipeline automation tools, have a local data center or want a multi-cloud environment, then third-party software might be the better option. You can choose more traditional cloud platforms, such as vRealize Automation, Cisco CloudCenter and Embotics; modeling tools, like Quali, Terraform and Cloudify; or application automation tools, such as Chef Habitat and Puppet Enterprise, Volk added. That said, keep in mind that AWS CloudFormation and ARM templates do integrate well with other tools, as Amazon and Microsoft have well-structured and well-documented APIs. Multi-cloud management tools are not new, and there is an active market filled with big players, like IBM, Microsoft, Hewlett Packard Enterprise and BMC, said Dave Bartoletti, vice president and principal analyst at Forrester. "There is a need to manage multiple clouds from one console, which argues for third-party tools, but the native tools have grown up and gotten much better," he said. Multicloud adoption is on the rise. Bartoletti compares the situation to the many hypervisor tools that came on the market 15 years ago to address virtualization. For example, as VMware vCenter was adopted globally, there were fewer arguments for third-party tools. 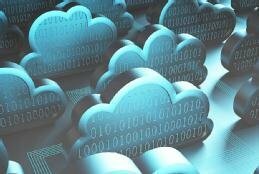 "People are inclined to adopt whatever tool comes in the box, and the same thing applies to cloud providers," he said. Still, there will always be some argument for third-party tools, according to Ned Bellavance, director of cloud solutions at consulting firm Anexinet. Native tools will always be more feature-complete and up-to-date than the third-party tool sets, but the latter gives users a more consistent look and feel and common knowledge base. "For shops that will be embracing multiple clouds, a single tool to perform deployment and configuration tasks is preferable to the native tools in each cloud offering," he added. Do you primarily use third-party or provider-native cloud tools, and why?